You've heard friends talk about their cruise vacations and how great a time they had, and you wonder what's it all about. More and more people are discovering the all-inclusive pleasures of a cruise vacation. More singles, families, couples, honeymooners, and groups of friends are sailing away on the vacation of their lives. Last year alone more than 11 million people enjoyed a cruise vacation. When you add it all up, it's easy to see why. 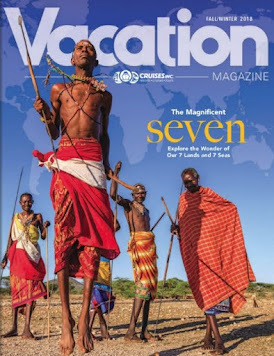 The price of your cruise ticket includes all of your meals and in-between snacks on-board; your stateroom, activities, parties and entertainment; plus, an exciting voyage to some of the most provocative and culturally-enriching places in the world. 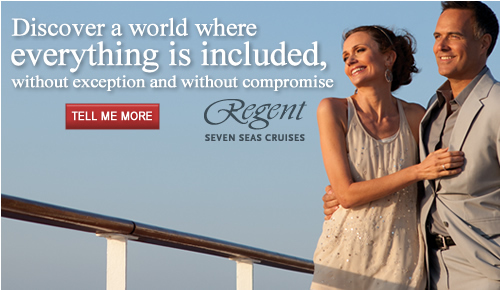 But before you set sail on the Vacation of a Lifetime, it's important to choose the right cruise at the right price. For First Time Cruisers, this can be quite a task. That's why we developed the "Directory to First Time Cruising". 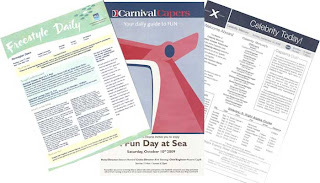 You can find almost everything you need to help you plan your cruise vacation. 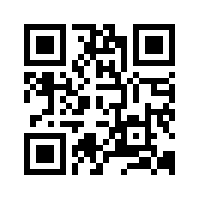 If you need more help or can't find what you're looking for there, please contact us and we'll be happy to help you. In this article, I'll also point out some additional details to help you once you are on-board the ship. 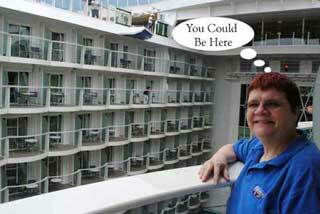 Welcome Cruise Rookies - Let's Look at Life On-board your First Cruise Ship. Cruise ships typically arrive in the embarkation port in the wee hours of the morning and begin the disembarkation process. Once the ship is cleared by customs, passengers begin to disembark the ship. Meanwhile, the crew is already beginning to prepare for the next group of passengers. Activities include cleaning the cabins and public areas, preparing meals, restocking supplies, and getting ready for sail-away. Plan to arrive at the pier mid-day unless your cruise paperwork directs you otherwise. When you arrive at the pier, you'll get your first glimpse of the ship. You will be in awe as you see the ship towering over cars and buildings in the area. If you heart isn't beating fast, you better call your doctor and make sure you are still alive and kicking. 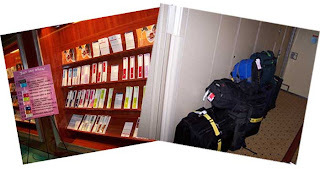 Porters will be on hand to gather your checked luggage and direct you to the check-in point. You'll be able to take your carry-on luggage with you, which I recommend. I'd have a change of clothes, your swim suit, medicines, electronics / camera, and anything you might want to use before dinner. Luggage typically arrives at your cabin door before you sail, but that's not always the case. It depends on how many bags were checked by your fellow passengers. Now is the time to get your passports, or other proof of citizenship, out along with your online registration paperwork. Please consult the International Travel tab for more information about required documentation. Most cruise lines have online processes now for check-in, much like an airline. Your "boarding pass", proof of citizenship, and credit card are the items you'll need to have available for check-in. There will most likely be a health questionnaire that you'll need to complete before boarding. Cruise line staff will be on-hand to direct you. After checking in, you'll be directed to security where you and your carry-on luggage will be screened, just like at an airport. Your room key, which also serves as your method of payment on-board the ship, should be out so that you can present it to security. 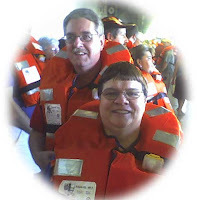 After stopping for a welcome aboard photo, you'll present your room key to security for scanning and you'll be on your way up the gangway to the ship. Guest services staff will direct you once you enter the ship's lobby. In most cases, cabins will not be ready for occupancy and you'll proceed to one of the ship's restaurants, usually the buffet, for some lunch. Announcements will be made when the cabins are available. While you are waiting to get into your cabin, this is a good time to explore the ship, book any spa appointments, purchase shore excursions, sign up for soda and wine packages, make reservations for any specialty dining, and take advantage of any welcome aboard activities or specials. Once you get inside your cabin, you'll find a daily program of events. This is your bible for the day. 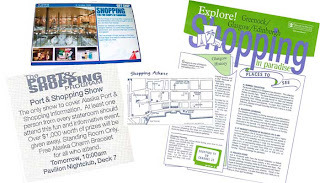 It includes information about activities, dining times and options, entertainment, any specials in the spa or shopping galleries, casino events and specials, as well as important information for the next port of call. One of your first choices you'll make is when and where to dine your first evening. When you made your cruise reservation, your dining time may have already been assigned. Most cruise lines have added open dining options where you can select when and where to dine. Even if you have the traditional dining with a preset dining time, you always have several options that you can select, such as room service, buffet, or specialty restaurants. In some cases, there may be additional charges for some restaurants. 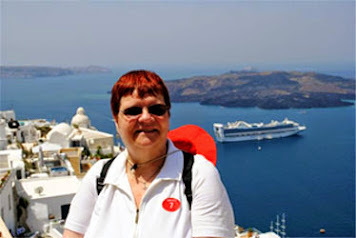 Your cruise specialist can explain your options ahead of time or the daily program can be consulted for choices. The next choice you'll probably make is what entertainment or other activities do you want to do that evening. 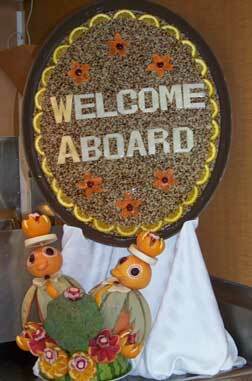 Most ships will have a welcome aboard show. These are typically offered at two times to allow guests dining early and late to have an opportunity to see the show. Show times are listed in your daily program. 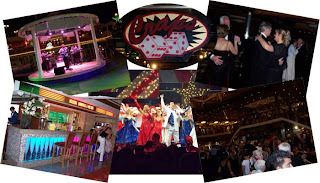 There are usually a number of entertainment venues on the ship which offer different types of music and other entertainment, such as comedy shows. On some of the newer and larger ships you'll have many more options. The majority of ships have a casino which will open once the ship is in international waters. The shops also will be open for your exploration after sail-away. Before I turn you loose to enjoy your cruise, there is one mandatory activity that you must complete. The United States Coast Guard requires that all passenger ships hold a safety drill within 24 hours of departure. Most cruise lines hold this drill about 30 minutes to an hour before sailing. You'll be instructed to go to your cabin, locate your life preservers, and go to a designated muster station on the ship. These are assigned based on your cabin location. Crew will be on-hand to direct you to your proper muster station. It is important that every passenger participate in this drill. If there were a real emergency, you'd want to know where to go and what to do. Cruise lines take safety very seriously but they can only do so much. Each and every passenger is responsible for the safety of everyone else. For example, a carelessly discarded cigarette could start a fire that could cost severe damage, interruption of your vacation, and loss of life. Please take safety seriously and follow directions of the captain and crew throughout your voyage. 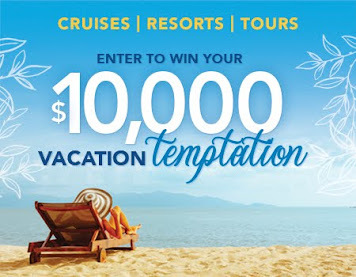 time to really begin your cruise vacation. Perhaps you'd like to join the passengers and crew as the bow lines are cast off and the ship sails away toward the first port of call. Bartenders will be on-hand if you want to break-in your "sail and sign" card (room key). If you like shopping, then you are in for a treat during your cruise vacation. 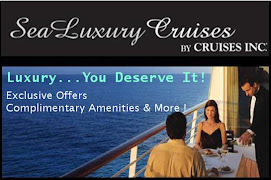 The cruise lines work with local merchants to put together some special promotions. 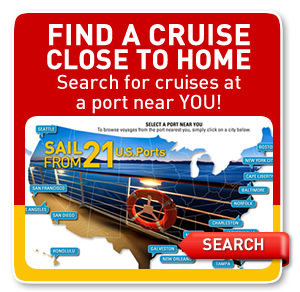 Many cruise lines have guaranteed stores in the various ports. If you purchase products from those stores and something goes wrong, they will help resolve the issue or get you a refund. 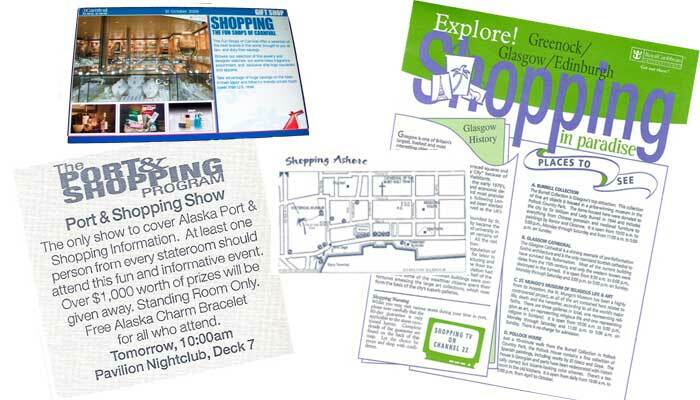 You'll want to attend the Port Shopping talk given by the ship's shopping experts to learn about what's popular and where to purchase the items. Each cruise line operates slightly differently, but usually there is some sort of drawing for those that attend the shopping talks. These talks often follow a bingo session, so if you want a front row seat, which increases your odds of walking away with a prize, you might want to get there for the bingo games and stay for the talk. 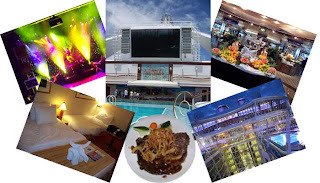 Throughout the cruise, there will be specials on-board also. The popular specials include "Inch of Gold" chains and Cruise Line logo wear. You'll find liquor specials, jewelry, and other deals featured in your daily program. One thing we like to collect is a magnet for each ship we sail on. During your cruise you'll see some amazing food and beverage displays. The crew loves to show off their talents in demonstrations. 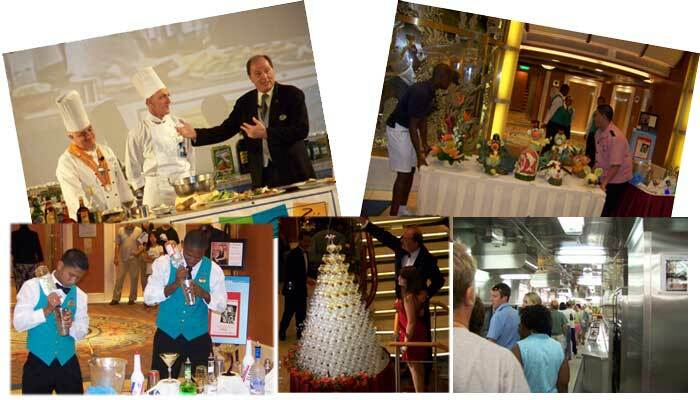 Shown here are the master chefs doing a cooking demonstration, a couple of crew members showing how to carve fruit, the mixology demo (where you might get to taste your favorite drink), stacking champagne glasses, and the galley tour which provides a behind the scenes look at food preparation. The crew aren't the only ones that partake in fun-filled events. 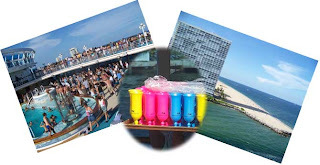 Passengers just love to get into the fun by participating in various events. Shown here is the ever popular hula-hop passing contest, the pass the banana contest, and the rubber ducky race. Make sure that your ducky makes it safely to the other side of the pool. 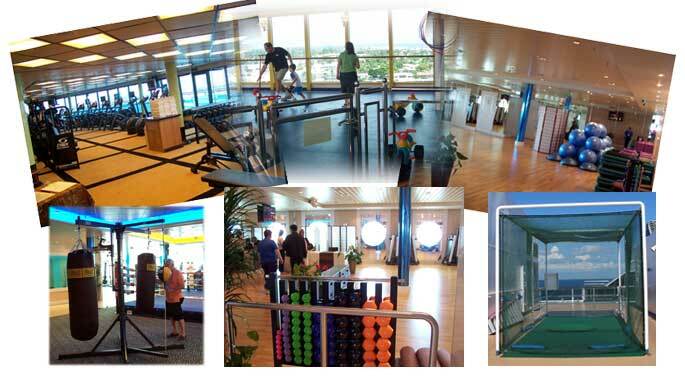 These are just a sampling of the types of activites you might find on your cruise. Each cruise line features different events hosted by the activities staff. You might find the cruise director on one of their assistants hosting the event. In any case, watch your daily program for activities that are of interest to you. If you feel like it, participate in one or more activity. You might even go home with a 14kt gold (plastic) trophy or other valuable prize. Vacations are a way to unwind from our daily routines which can include stress and physical pain. Cruise ships have full service Spas staffed by trained therapists who specialize in various treatments from a full body massage to exotic therapies like hot stones massage, seaweed wraps, and facials. 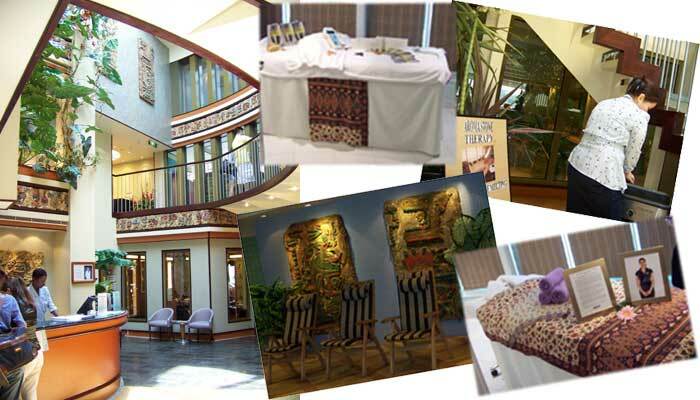 Each ship has their signature treatments, so be sure to stop at the spa early to book your appointments. Book one or more treatments during your cruise to rejuvenate your mind and body. Relaxing was never this good before. If you are used to exercising while at home, there's no need for you to stop while on a cruise. You'll find state of the art equipment on-board in a setting that can't be beat. Imagine running on a treadmill while looking out at sea. You'll feel like you are powering the ship to the next port of call as you exercise. The gym is staffed by professional trainers who can provide guidance for those that desire personalized programs. There usually are seminars and fitness classes that you can participate in. Some programs have a nominal charge while the use of the gym is complimentary. Round out your exercise program by swimming, jogging, or playing various sports. The ship comes alive at night time with plenty of activities. Start your evening with a martini or glass of wine at your favorite bar, play a game of chance before or after dinner, dance the night away in one of the lounges, or take in a show in the main show room or one of the other venues. Or, if you are up to it, do it all. The ship stays a buzzing into the wee hours of the morning. Of course, the alarm clock goes off early when you are in port the next day, so make sure you plan accordingly. Included in your cruise fare are meals in the main dining room, buffet, room service, and additional alternative dining venues. On some ships, there are additional options for dining, known as specialty restaurants. Usually there is a surcharge added to your on-board account for dining in these alternative locations. Why would someone pay extra for food? You aren't paying for the food, but rather for the special atmosphere and service. The surcharge is an additional gratuity for the staff that serves your dinner. As you can see from the pictures above, food is often prepared right at your table by the head waiters. And don't be surprised if something is flaming. My suggestion is that you make a reservation for at least one night in a specialty restaurant. The charge is minimal (usually less than $30 per person). I'm sure you will agree that the food and service equals a fine dining experience back at home. Whether you are celebrating a special occasion or simply having a special evening with your loved ones, this is a great way to make your cruise memorable. Meals tend to be longer than your normal dinner, so be sure to allow extra time for dinner. When you get on-board the ship, I suggest you make reservations if possible. In some cases, you can only make the reservation 24 hours in advance. Your cruise specialist can provide you with details or as usual, check in the daily program to find out more about your dining options. While preparing for your cruise, you may have purchased or reserved shore excursions online. If you have any questions about the tours or need to make a change, consult the Shore Excursion desk during their hours of operation. Please make note of the times, and also any deadlines for making changes (usually 24 hours prior to your tour). If you haven't already booked shore excursions, you might want to attend the port talks which will provide additional details about each of the available tours. If you can't attend in person, check your in-cabin television to see if the session was recorded. The Guest Services desk is the place to go for assistance with your on-board account or any other special needs. If you have a problem with your cabin, start by contacting your room steward. They are usually able to assist you or they will direct you to the proper place. If you have an issue during your cruise, report the problem and attempt to get it resolved on-board the ship, just like you would if you were staying at a hotel. Don't wait until you get home and contact your cruise specialist - it's too late and your vacation may have been ruined. Sadly, the cruise is drawing to a close and it's time to start preparing for disembarkation. 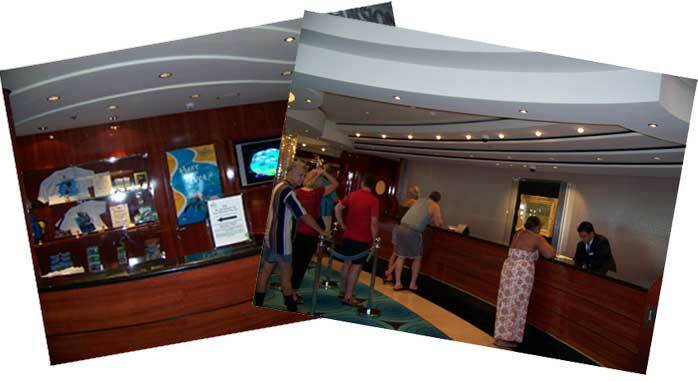 The Cruise Director usually hosts a disembarkation talk on the final day before arriving in port. It is important that at least one member of your party attend the talk so that you are aware of the procedures. You will also receive information in your cabin. 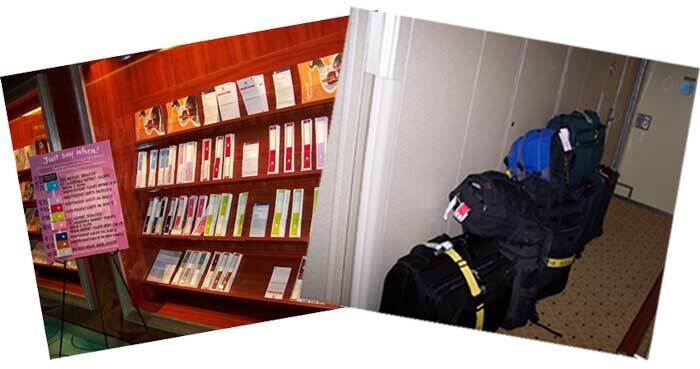 In most cases, there will be luggage tags, custom forms, and a schedule with additional details about disembarking the vessel. After dinner you'll need to put any bags that you want the porters to handle outside your cabin door. This usually has to be done by 10 or 11 PM. You'll place a color coded tag on them corresponding to the order that you'll be departing. Times are assigned by guest services based on post-cruise plans, such as flights home or pre-arranged post-cruise shore excursions. 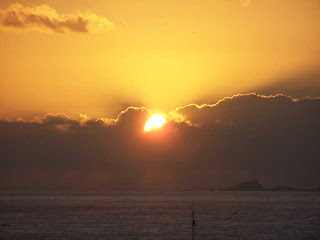 In the morning, the ship will arrive in port and Customs Authorities will take control of the ship. The Captain and crew need to follow their instructions. There will be areas of the ship that are off-limits. Please do not attempt to enter any of these areas, or the entire ship could be delayed clearance. Once the ship has been cleared, the disembarkation process will begin. Listen for you color to be called and proceed to the gangway. You'll need your room key one last time to "check out". You'll already have received your final bill in your cabin so there is no need to stop at the Guest Services desk unless there is a problem. If you are lucky, your final memory before completing your disembarkation preparation will be a fabulous sunset. How fitting an end to this fabulous first cruise would that be. We'd love to hear about your first cruise experience, and how useful this information was to you. We are confident that you will have had a wonderful time and are looking forward to many more cruises in the years ahead. Over 25 years ago we started our love affair with cruising and haven't lost the love since then.